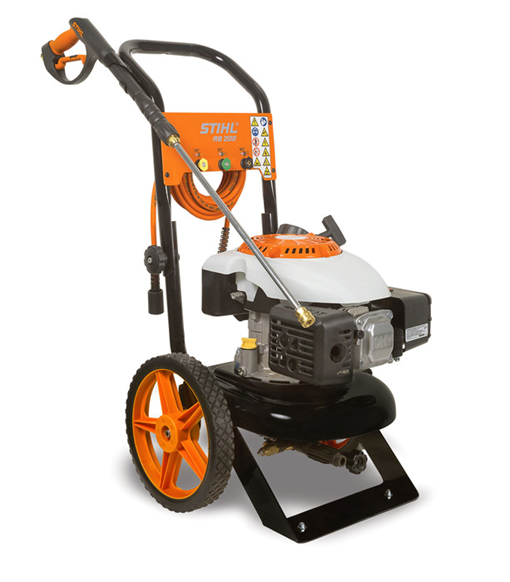 The Stihl RB200 Pressure Washer makes light work of many outdoor cleaning tasks saving time and money. The high pressure pump maximises efficient use of water, getting the most from every precious drop. When you need a Pressure Washer that delivers top performance and can stand up to daily use, choose the Stihl RB400 DIRT BOSS. It features a powerful 196cc (6.5hp) engine that can output 2700 psi of pressure at over 10 litres per minute. This powerful professional pressure washer can tackle any cleaning job with ease. It features 3200 PSI of water pressure and a 208cc engine. The RB600 pump components are made of premium commercial grade Triplex to reinforce durability, plus with the easy start pump system you can start the washer without difficulty or back pressure from the pump. Ideal for handling the heavy duty projects with ease. 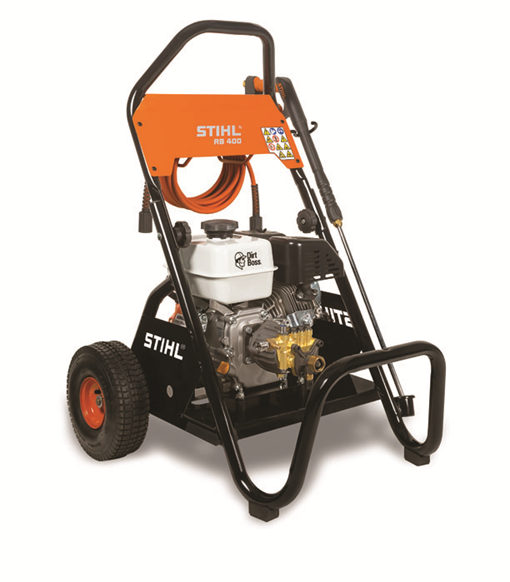 The Stihl RB800 is the pessure washer you need if you are looking for professional power and performance. 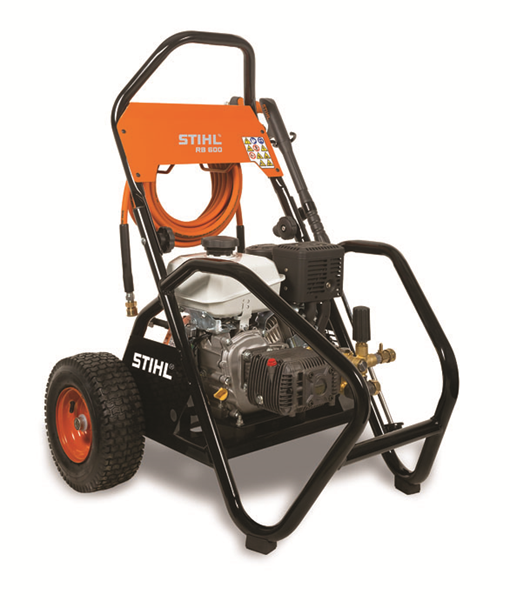 This washer is the most impressive one in the Stihl lineup. It is designed for heavy duty commercial use and can get through even the toughest cleaning jobs. 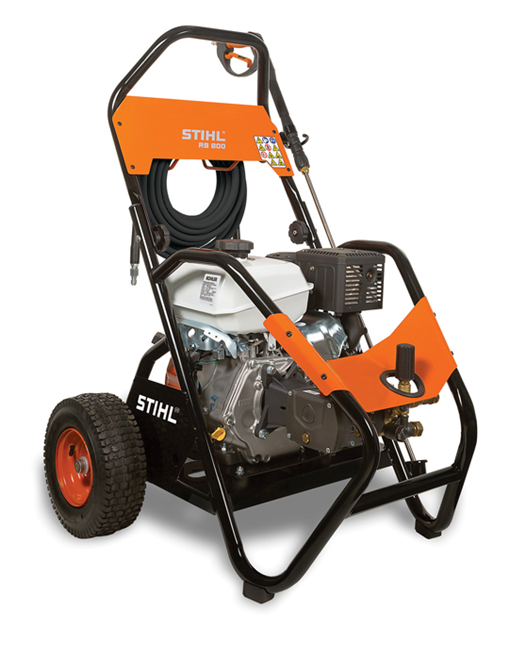 With 4200 PSI and a 429cc engine the Stihl RB800 cleans the dirtiest jobs with ease.